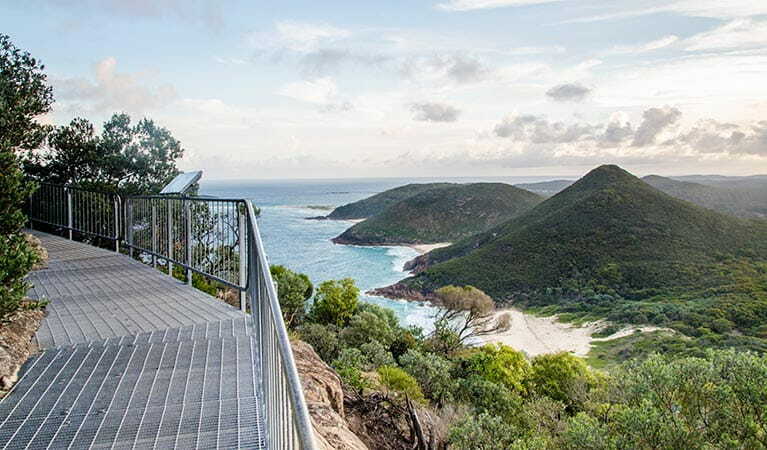 Take the invigorating short walk to the summit of Tomaree Head, 161m above the Port Stephens entrance. 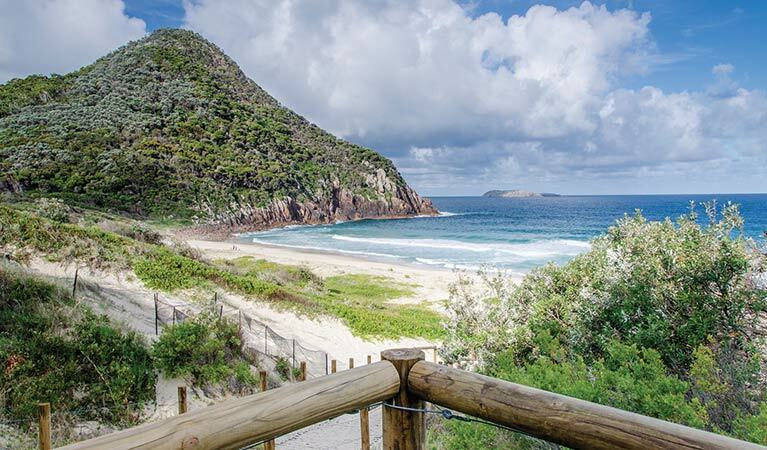 As you hike the track, you’ll enjoy unparalleled views of idyllic Port Stephens and its coastline. 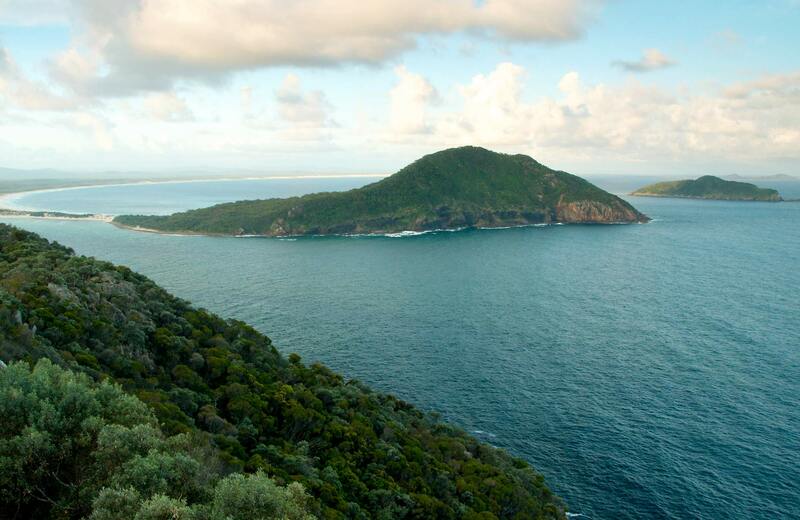 From the top, you can even see as far as Cabbage Tree and Boondelbah islands – these nature reserves are the world’s only nesting sites for the endangered Gould's petrel. When you reach the summit, enjoy panoramic views of Yacaaba Head, Cabbage Tree, Boondelbah and Broughton Islands from the north platform. 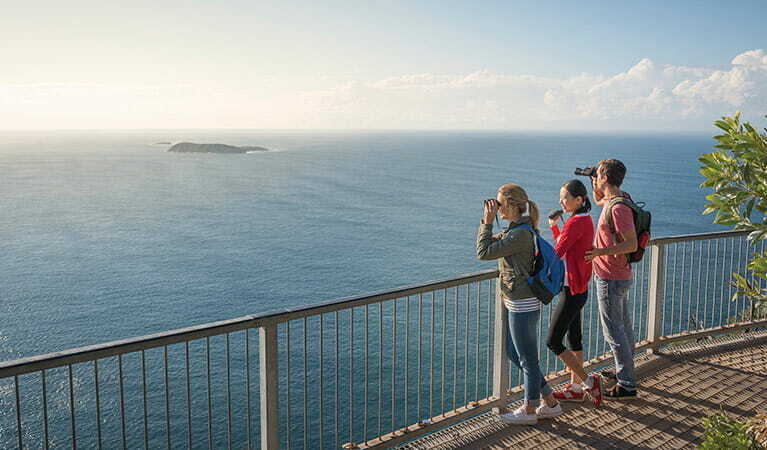 From the south platform, views of Zenith, Wreck and Box Beaches, Fingal Island and Point Stephens Lighthouse will be sure to impress. Be sure to check out the historic World War II gun emplacements. Take your binoculars as you might be lucky to see some dolphins. There’s a picnic table at the lookout, so if you have time, take a picnic lunch or some morning tea to enjoy as you take in the view. 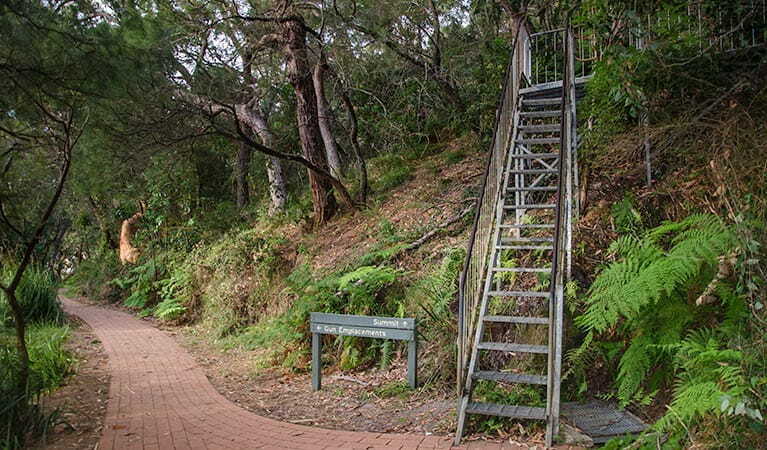 On the way back down, don’t forget to try Fort Tomaree walk. 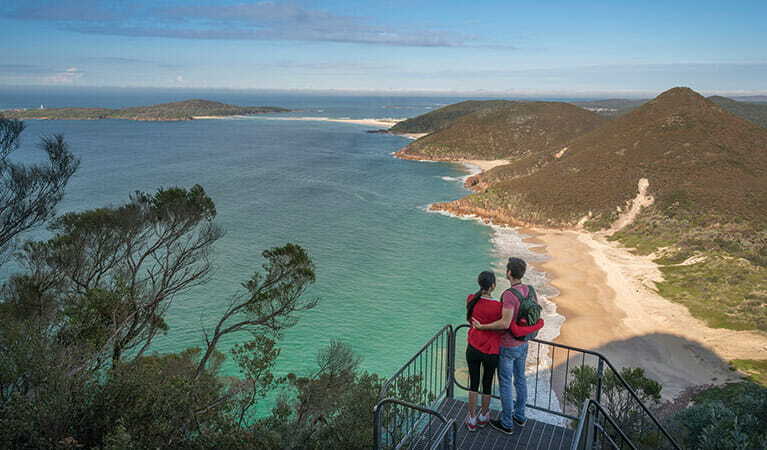 Take a virtual tour of Tomaree Head Summit walk captured with Google Street View Trekker.